Potted flowers are very in fashion right now. They bring an element of Spring to the home throughout the entire year. 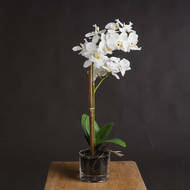 We have a range of different styles to choose from, including the orchid and hyacinth. Any home that needs a bit of colour adding to it would benefit from these flowers - and you can buy them wholesale from Hill Interiors today. 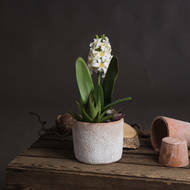 These stunning artificial potted flowers are ready to go from the start. Here at Hill Interiors we have a floral choice for everyone, ideal to decorate all interiors you can simply place these anywhere knowing they are low maintenance and beautiful!